Stamford’s South End was the manufacturing center of the city in the 19th and early 20th centuries, but over the past few decades this area became dotted with abandoned, idle and under-utilized industrial properties as America shifted away from a manufacturing economy. Known in development terms as “Brownfields”, these tracts of land were often contaminated with industrial waste or other pollutants, making their remediation a challenge. As part of a Showcase Communities project, an area formerly occupied by Northeast Utilities was cleaned up and made ready for new purposes. 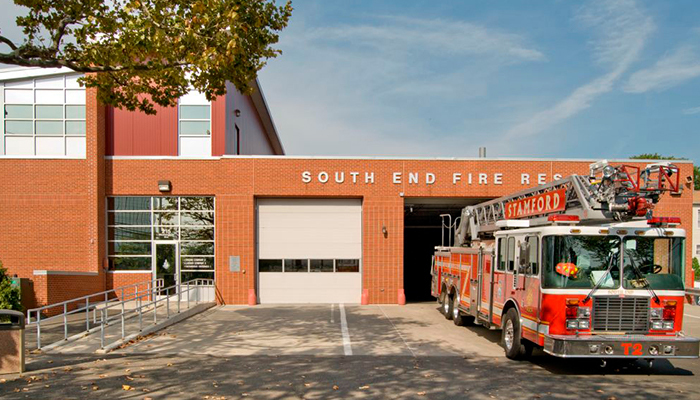 The city of Stamford purchased an acre of this site for the construction of the $4.1 million South End Fire Station. Viking Construction won the project over an extensive field of qualified contractors, with a competitive design build proposal conceived in collaboration with a major architectural engineering firm. Viking self-performed the site work, the concrete and interior finishes, resulting in tighter management controls and providing a cost benefit to the City. 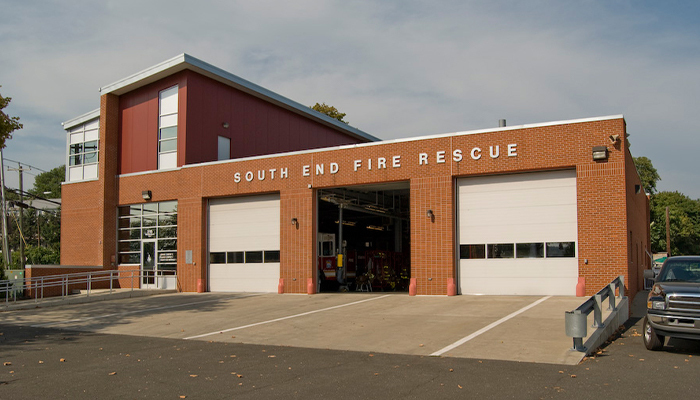 An existing warehouse was transformed from an abandoned eyesore into a state-of-the-art emergency facility, with 3 vehicle bays, sleeping quarters, a kitchen and administrative offices. 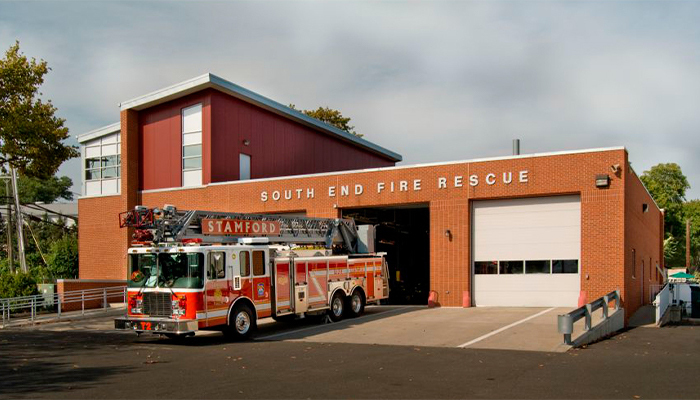 The 10,500 square-foot station comfortably handles the Stamford Fire Department’s current equipment needs with room for future growth.